Birders in Idaho really enjoy the month of May as every day has new surprises. Today at Avimor we had a Swainson's Hawk hanging out near the entry towers nearly all day long. 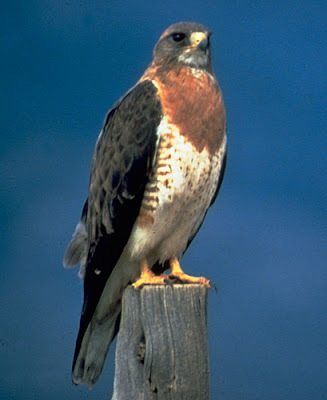 I have been seeing Swainson's Hawks in the valley for a month or so now, but this is the first I have seen at Avimor. We had Black-capped Chickadees this morning. These cute little birds hang out year round, but I haven't seen them at Avimor for a couple of months. We had a good sized flock of Cedar Waxwings today mingling with about four dozen Lazuli Buntings. A mother Killdeer was running around with two little Killdeer hatchlings. 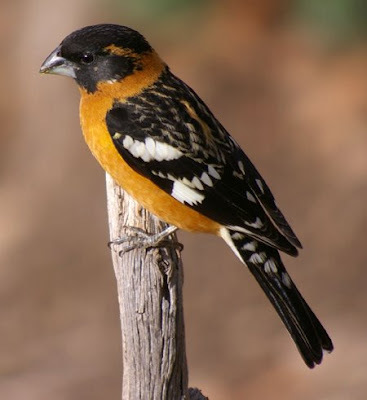 I saw a handsome male Black-headed Grosbeak today as well.